Earlier today (April 9) the department store has rejected a £200million offer from Sports Direct and is now on the brink of falling under the control of its lenders. It means the future of 25,000 jobs and 165 stores in the UK - including the one in intu - is uncertain. Debenhams has been contacted for a comment. 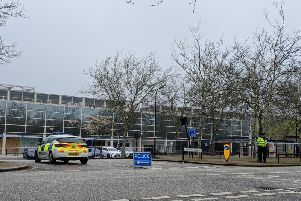 It comes after speculation in October that the Milton Keynes store would be on a list of stores set for closure, but any decision was put off while the company worked to manage its debts. Sports Direct's CEO Mike Ashley reportedly offered a £150m lifeline deal to the company on Monday in exchange for becoming CEO, but this was rejected. It would be the latest in a line of high street casualties for Milton Keynes after losing House of Fraser, BHS, Marks and Spencers and ahead of the closure Dorothy Perkins.